£50 non-returnable deposit. Balance one month before. Monica and John welcome you to their award winning 4 star self catering holiday accommodation. 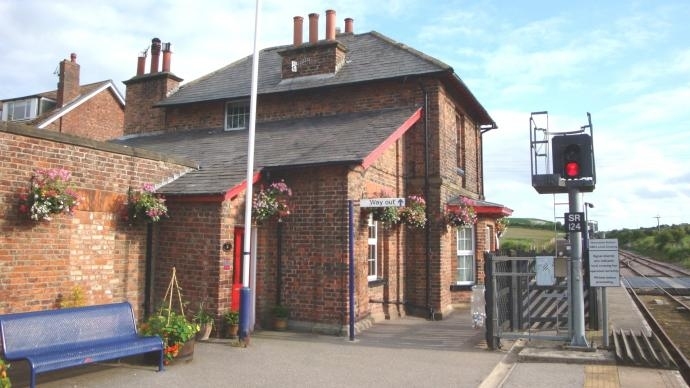 Part of Hunmanby Station, built in 1846, Old Waiting Rooms retain the original Victorian character while providing very comfortable ground floor accommodation. Situated in the North Yorkshire Wolds, less than 2 miles from the heritage coast. Regular trains to Filey, Scarborough, Bridlington and further afield. Good vilage amenities (pubs, shops, restaurant, takeways all less than 10 min walk away. Full weeks or short breaks. Designated parking. Click icon above to view or print our brochure. Check in time is between 2.00pm and 6.30pm on the day of arrival. Earlier or later arrivals by prior arrangement to be sure we are in. Check out is by 10am on the day of departure.